The Veritas Backup Exec 20.1 Administration training Administration course is designed for the data protection professional tasked with architecting, implementing, backing up, and restoring critical data. 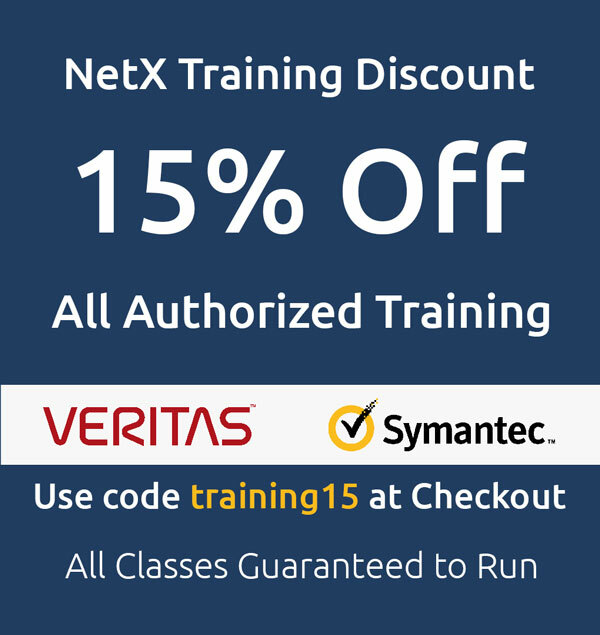 The Veritas Resiliency Platform Administration training course covers deployment and implementation of Veritas Resiliency Platform. You learn about creating and deploying all Veritas Resiliency Platform components. You also learn how to integrate Veritas Resiliency Platform with NetBackup as well as how to use AWS, vCloud, and Azure as Veritas Resiliency Platform disaster recovery targets.